Club Head Material: 431 Stainless steel The hybrid clubs for ladies Designed by women who know what women want. Modern design, stunning appearance with performance to match. Each club dons a consistent, contemporary appearance with soft curving edges, an hourglass center support surrounding a floral motif inlay and authentic Swarovski crystals embedded in the sole. The innovative hybrid shape is designed to be as easy to hit as your fairway woods, but with the accuracy you need in irons. Transitioned hybrids allow a choice between the fairways and easier-to-hit higher launching irons. Comes with the Ibella Bellissima lightweight graphite shaft weighing only 63 grams with a low 4.5 torque designed to help generate a high ball flight. The softer tip section helps increase trajectory coupled with the ultra lightweight design for added speed and more importantly added distance. For more information about the iBella Bellissima, click here. Highly Rated. 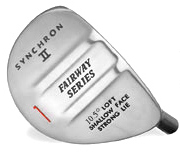 Read reviews here Q2 Hybrid Clubs Features: Elegant design, modern technology and ease of use Weight is redistributed to the two rear corners to provide increased stability by raising the moment of inertia about the center of gravity. The lower center of gravity helps launch the ball at a higher trajectory. Precision cast from 17-4 stainless steel and created with a special glider sole to reduce turf drag and fat shots. Comes with high quality Apollo Spectre Lite Steel Shaft. It’s lighter than standard steel shafts – that translates to faster swing speeds while still retaining the control of steel shafts. Compare features and performance with similar hybrids from Taylormade, Nike, Calloway etc. for $149 to $199 each. For more information about the Power Play System Q2 Discontinued, click here.